We give you the Gadget. It reads the temperature, moisture, has motion, and it tells time. 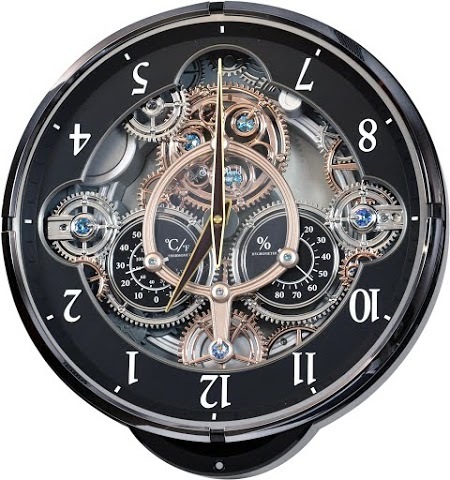 On the hour, the gears move, meanwhile the dial takes a full revolution around while playing one of 30 melodies. 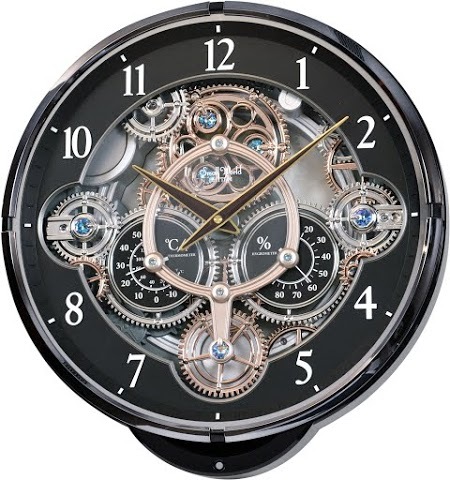 Designed beautifully with a continuous rotating gear at the bottom and 6 Swarovski Crystals. Clock is battery operated.